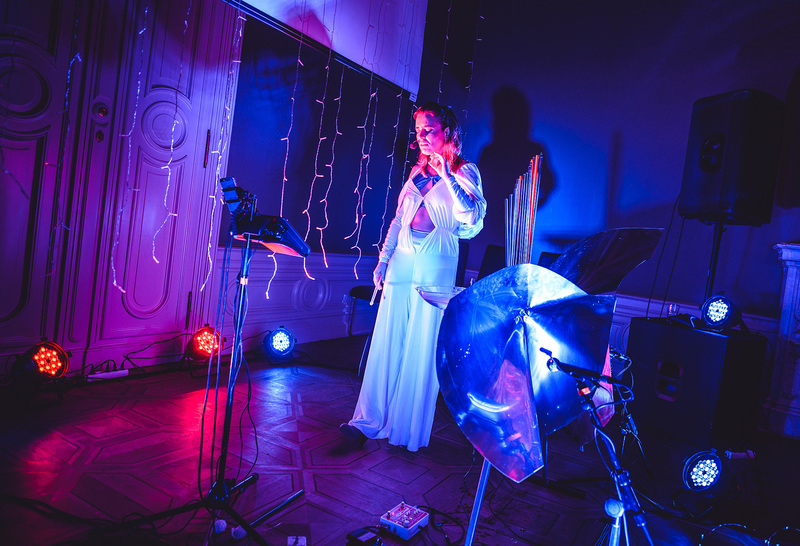 Before her scheduled appearance at the 2017 Colours of Ostrava festival, Lenka Morávková performed on her Bohemian Cristal Baschets in the halls of Anglo-American University. 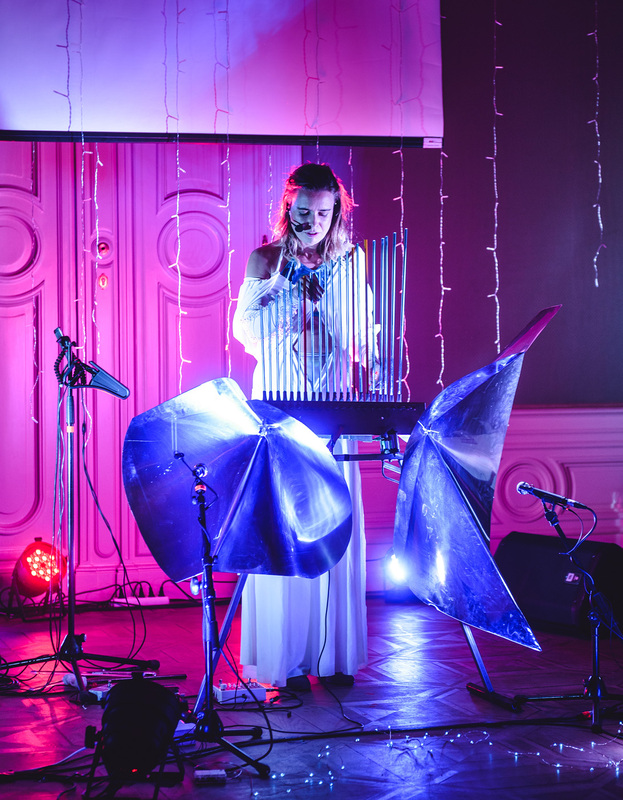 On her way to the 2017 festival, Colours of Ostrava, Lenka Morávková performed on her Bohemian Cristal at AAU. 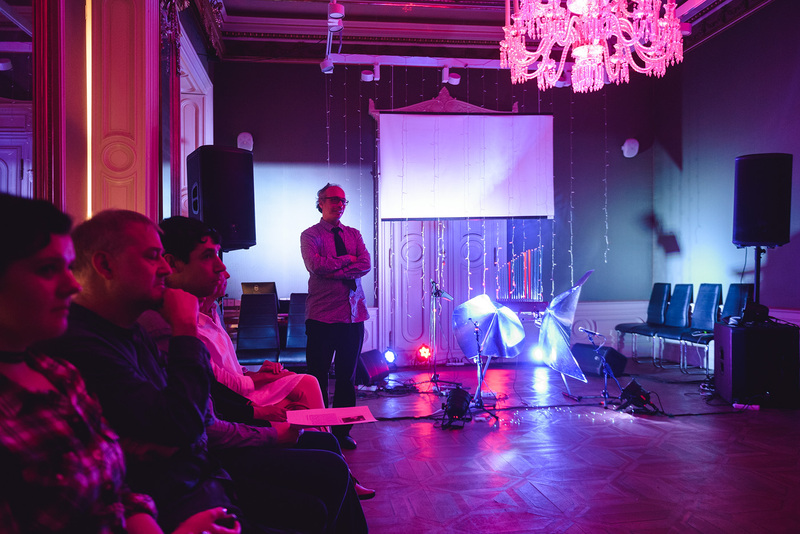 The magical concert, played with her Cristal Baschet, led the audience into alien soundscapes. 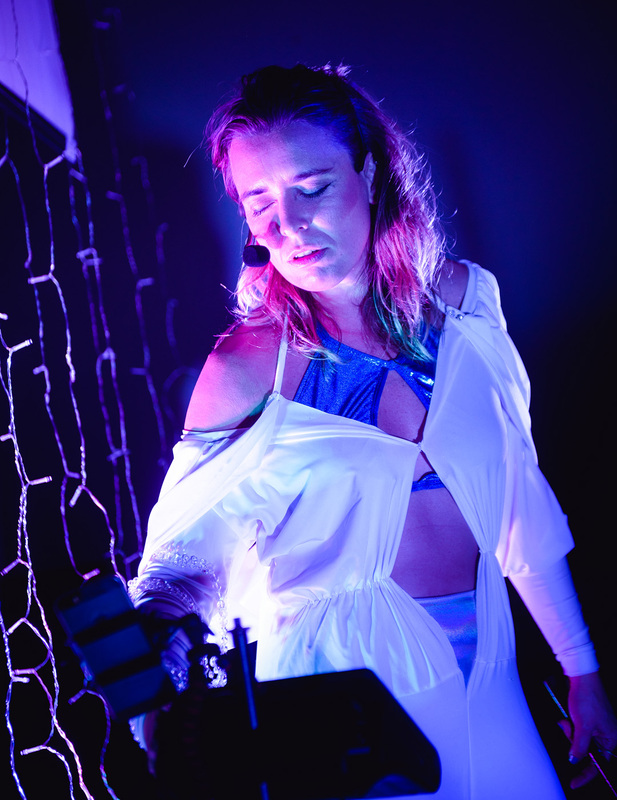 Morávková is currently pursuing her Ph.D. in Digital Composition at the University of California Riverside, where she fuses digital technology and music. The compositions are a blend of her singing and the glass instrument. 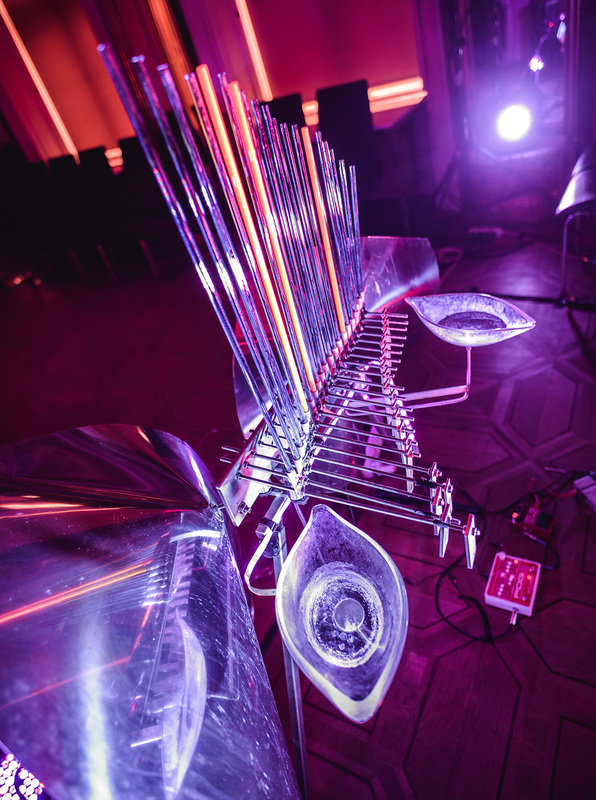 Bohemian Cristal is a piece of Czech Cristal Baschet, an instrument that emerged in 1952 as a part of “Structures Sonores,” a concept introduced by French brothers Francois and Bernard Baschet. The brothers pioneered the idea of combining sculpting and music. After 50 years of developing the “Sound Sculptures,” the glass Baschet, with its high level of virtuosity, became their most successful creation. The coloured version, assembled from multiple glass rods, was built for Morávková in 2012. The Bohemian Cristal Baschet first debuted at the International Glass Symposium in Nový Bor, Czechia, the same year. Lenka’s work as a installation artist and electronic musician under the nickname “My Name Is Ann” has been presented all over the Europe and USA, including many festivals, venues and art spaces (LEM festival, MicroMutek, Colours of Ostrava, New Scene of National Theatre in Prague, Art Fair Prague, etc.). With her glass instrument, she also performed in Los Angeles’ prestige Broad museum with a Grammy nominee composer, Bora Yoon and introduced her Baschet on TEDx stage. Performing in one of the many classrooms of the former palace, the concert was both historic and contemporary. The arranged red and blue lights shining through the Bohemian Cristal illuminated the room, converging into a pleasant shade of purple.The blue colour of the Baschet and the white dress sported by Morávková, made the whole event seem to take place steps from the heavenly gates. The music was distraught enough to bring tension into melodic hums; The mixture of the chorus and electro-dance music made the composition tense yet soothing. The composition was built from scratch on the stage. The whole session resembled a group trance. Morávková said that playing Bohemian Cristal can be meditative. The instrument itself has a spirit of its own. 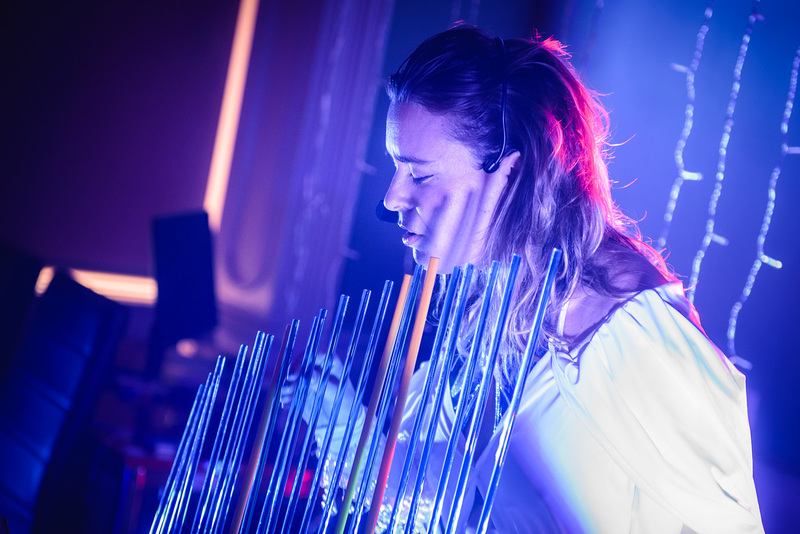 Morávková’s next stop in Ostrava is where she will be joined by William Close and The Earth Harp. All of them will perform on July 19 on the Agrofert Fresh Stage at Colours of Ostrava 2017. Music junkie, Empress of Chaos and your one stop shop for awkward jokes. Married to hard music and instrumentals. Would sell her family for glass of good wine.